I’m sure you’ve had this type of a dream before. You’re at work (since we all dream about being at work) and nothing seems particularly out of the ordinary until you look down at what you’re wearing. Even worse you look down at what you’re not wearing and that’s enough to awaken even the champion sleeper. You don’t leave the house without putting some thought into what you’re going to wear. You make sure everything is balanced and at least somewhat cohesive, so why don’t you put the same thought into your child’s lunch? Before you send the kids out the door, brown bag in hand, are you sure they have something balanced and cohesive? Here are three details you should never skip when it comes to getting your child’s lunch “dressed,” before leaving for school. Kids love variety when it comes to food and when you give them more options they’re likely to eat from a wider range of foods. Human beings are social eaters and what’s cooler than being able to show off to all of your classmates a bag full of lunchtime options? Younger children will enjoy snacking on a variety of smaller items and older children will want something more substantial to chew on. 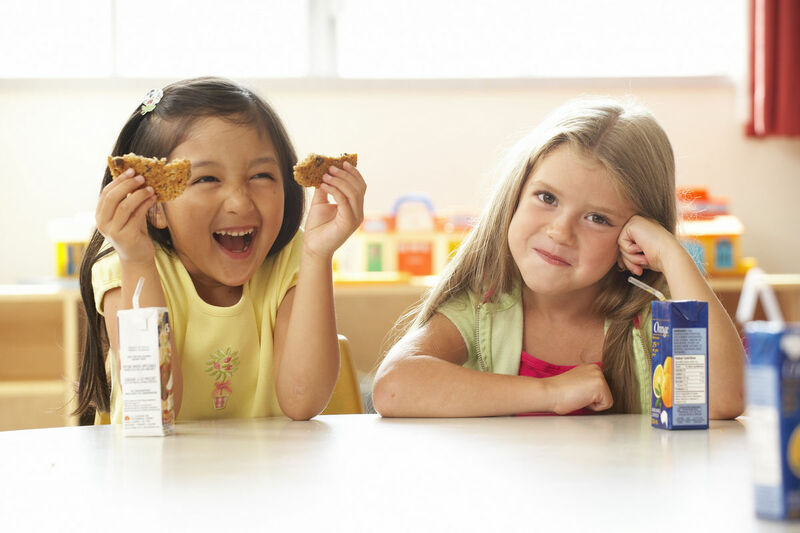 Providing your children with the same size meal each day will train them to eat a certain amount at lunch every day. Don’t let your kids fall prey to the “eat everything on your plate” syndrome if their portions aren’t under control. After all, what if they encounter big plates too often? Set your kids up for balanced health by setting them up with a balanced diet. Try to include something from each food group when you pack up the chilly bag. This can be a great way to get them to try new foods and to ward off nutrient deficiency. Curious about this variety and abundance of everything Arizona grows? Go to Fill Your Plate and look for our searchable “Find a Farm Product” section. When you click on that link you’ll find an endless list of the types of fruit and vegetables that Arizona grows. – What makes a Great School Lunch? This entry was posted in Cooking, Food, Grocery, Health Tips, Healthy Eating, Kids, Recipes and tagged Children, Health, Healthy, kids, Lunch, Parents, School. Bookmark the permalink.